Included is transportation from Puerto Viejo, San José or Arenal to Tortuguero and return transportation to your choice of San José, Puerto Viejo or Arenal. Also included are 2 (or more) nights of lodging in either La Casona (economy) or La Baula Lodge (standard), 3 meals (2 breakfasts and 1 lunch), a thrilling whitewater rafting trip on the Pacuare River, and exciting activities/tours in Tortuguero. Lodging information: Both lodges emphasize the conservation and respect for the environment of the region. The rooms in each lodge feature hot water, a private bath and fans. The rooms are painted in vivid colors that typify the local Caribbean style. Listed prices are based on double occupancy. The economy option has a supplemental charge of $15 for single travelers. Tortuguero National Park is located in the Limón Province of northeastern Costa Rica. It is the third-most visited park in Costa Rica, despite the fact that it can only be reached by airplane or boat. The park has incredible biological diversity due to the existence within the reserve of 11 different habitats including rainforest, swamps, beaches and lagoons. Tortuguero National Park has a humid and tropical climate receiving up to 250 inches of rain a year. Its beaches are key nesting grounds for endangered sea turtles, such as Hawksbill, Loggerheads, Green, and Leatherbacks. 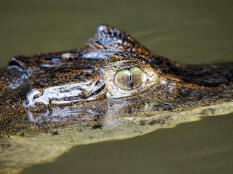 The rivers within the park are home to sensitive populations of manatees, as well as caimans, crocodiles, and Tropical Gar, which are considered to be a living fossil. 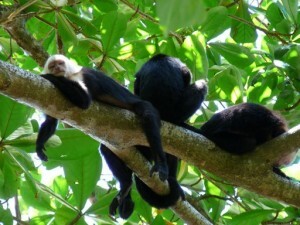 The forests are home to jaguars, three species of monkeys (spider, howler, and white-faced Capuchin), and three-toed sloths. Basilisk lizards and poisonous frogs also inhabit the area, along with 375 species of birds including kingfishers, toucans, blue herons, peacocks, and parrots. There are more than 400 species of trees and approximately 2,200 species of plants. This is one of the best places in Costa Rica to spot wildlife. Monkeys, sloths, crocodiles, toucans and many colorful frogs and insects are all common sights. 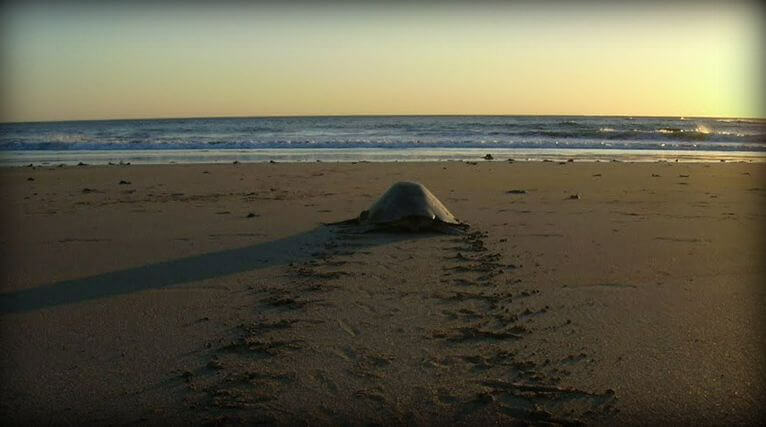 Visiting during the turtle-nesting season from July to October is one of Costa Rica’s highlights! We have daily departures from San José, the Caribbean coast, and the Arenal Volcano, providing you the choice to start and end this tour at the place of your convenience. This trip gives you the ultimate blend of wilderness exposure and invigorating excitement. 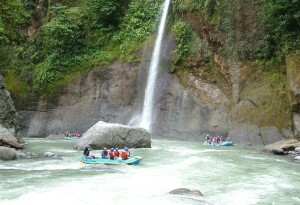 The Pacuare River is world famous for its pristine beauty. A true river gorge, it is flanked by steep, green walls. Waterfalls cascade into the river from both sides as colorful, tropical birds fly overhead. There’s a chance you may even see sloths, monkeys or the elusive jaguar! Amazing views of this virgin tropical rainforest appear before your eyes as you make your descent down the river. The whitewater is equally exciting; the amount of rapids covered on this outstanding trip makes it one of the most memorable river trips you will ever experience. Upon arrival to the river, we will gear you up with a life jacket, helmet, and paddle and then brief you with a full safety orientation. Finally, it is time to take off down the rapids! The first four miles consist of fun class II-III rapids. This is the perfect time to test your new river skills and gain confidence in your team. Here you can find pockets of secondary growth forest that are incredibly beautiful. After about 40 minutes, we will enter the famous Pacuare River Gorge, which is made up of five miles of some of the best whitewater Costa Rica has to offer. The rapids here are Terciopelo Snake, Double Drop, Upper and Lower Huacas, and Pinball to name a few. You will also see the Huacas waterfall, a 150-ft dramatic drop into the river. Just a little over halfway through the trip, you stop for lunch at a site with bathroom facilities. After a delicious and well-deserved meal on the beach (vegetarian options are available), the next section of river opens up to a five-mile stretch on the Valle del Pacuare. The main rapids here are Cimarrones, The Play Hole, El Indio and Magnetic Rock. The forest remains just as lush and the rapids just as fun. We finish in Siquirres, at our own private Exploration Center. Here you can take a shower, change and enjoy the gardens and terrace while having refreshments and reflecting with your new friends about the great adventure you just shared. 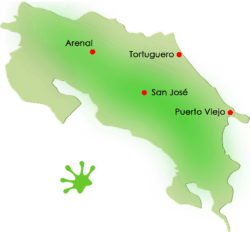 At the end of your tour (on the evening of the third day), you are dropped off at your hotel in San José, the Caribbean coast or the Arenal Volcano area. This is a great trip to do on your way to or from the Caribbean coast or Arenal as it includes your transportation! Accommodation while in Tortuguero is either La Baula Lodge (standard) or La Casona (economy). La Baula Lodge is a hotel that features 40 cozy, rustic rooms of varying sizes. Each room has a private bathroom, hot water, a ceiling fan, and views to the gardens, with all meals included. The lodge is located in front of the Tortuguero Lagoon, and it’s a 5-minute boat ride from Tortuguero National Park. The lodge features an authentic Caribbean style painted with bright colors that identify the culture of the area, lush and exotic gardens, swimming pool and a bar, Internet, WiFi, laundry service and experienced guides. On-site there is a restaurant, rental boats and canoes. There are many animals that visit La Baula Lodge, like the famous howler monkey with its natural wake-up call every morning! The red frog lives in the lush gardens, and the blue morpho butterfly flutters around the many green areas found on the property. 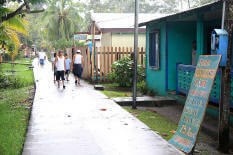 La Casona de Tortuguero is a small, family run hostel in the heart of Torutguero village. The hostel offers rustic rooms with private bath, hot water and fans. There is hammock area surrounded by little patios and a garden full of tropical flowes. The garden attracts many, hummingbirds, butterflies, frogs and lizards which you can observe all over the property. The family also runs a small restaurant and bar, and free wifi is available as well as laundry service. This is for the 3 day/2 night option. Day 1 Early a.m. pickup at your hotel in San Jose, Arenal or Puerto Viejo. Breakfast en route at the Exploration Center (where additional luggage will be stored). Transport to Tortuguero, Check in at your lodge. Tortuguero activities. Day 3 Early Morning pickup and transport to the Exploration Center where breakfast is served. All day rafting trip. Luggage stored securely while you are on the river. Transport to your hotel in San Jose, Arenal or Puerto Viejo. *The economy option has a supplemental charge of $15 for single travelers. Includes: • Transportation from Puerto Viejo, San Jose or Arenal with drop-off in your choice again of San Jose, Puerto Viejo or Arenal.